Fireworks stands were closed for the July 4th weekend but they will be open for the Christmas selling season which runs from December 20th – January 2, 2012. Due to the historic drought conditions experienced by Spring Texas, the stands were closed for July 4th. Although Spring Texas is still in a drought, the Harris County Commissioner has decided the threat of potential fire from fireworks is not great enough to close the stands. The fireworks business will NOT be back to usual though. The Harris County Commissioner has banned the sale of rockets with sticks attached to them (bottle rockets) and missiles with fins attached as he still considers these types of fireworks to be fire hazards. The partial ban accounts for 20% of the firework stands business so it will hurt but it’s better than not being open for business at all. 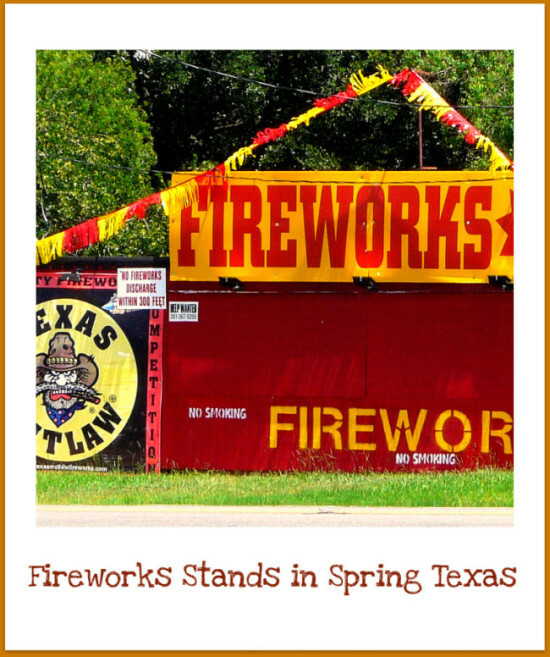 Fireworks are LEGAL in unincorporated areas of Harris County which includes Spring Texas. Due to a partial removal of the ban on the sale of fireworks, the Holidays will now come with a BANG!